There is a robust discussion on the synagogue of Satan going on in the community of believers. It is time to take a look and see what we can find. We begin with the identifying passages. I know your works, and tribulation, and poverty, (but you are rich) and I know the blasphemy of them which say they are Yahudiym, and are not, but are the synagogue of Satan. Behold, I will make them of the synagogue of Satan, which say they are Yahudiym, and are not, but do lie; behold, I will make them to come and worship before your feet, and to know that I have loved you. In the Yavaniy (Greek), we find the word commonly interpreted as Jews is Ἰουδαῖος (Ioudaîos) Strong's G2453, which means Judæan, i.e. belonging to Jehudah: of Judæa. 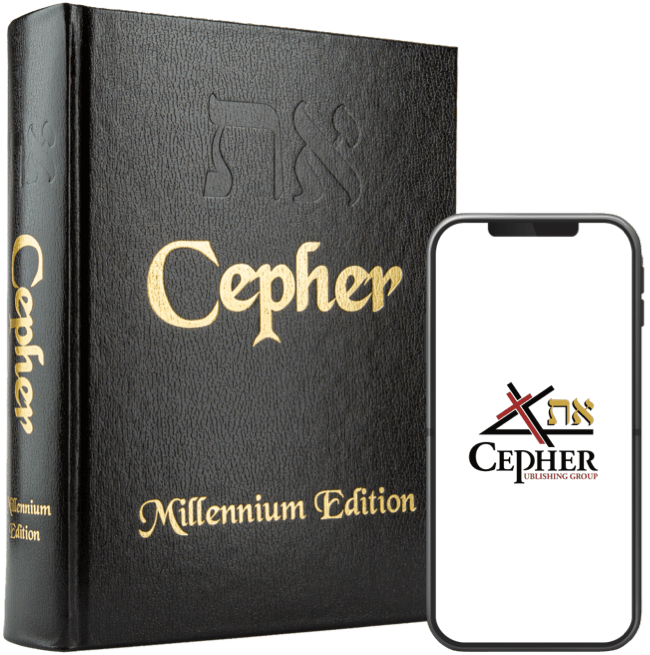 We at the Cepher Publishing Group use the word Yahudiym rather than the word Jews, and we will soon see why. In the Ivriyt (Hebrew), we find that the word commonly interpreted as Jews is Yahudiy (יהוִּדי) Strong's H3064, meaning a Jehudite (i.e. Judaite or Jew), or descendant of Jehudah (i.e. Judah). However, the word found for Judæa is Yahud (יהוּד) Strong's H3061 meaning, Judaea. The Romans referred to the place in its original Latin form as Iudæa. We can conclude that the Ioudaios/Yahudiy is the same person, i.e., a citizen of the kingdom known as Yahud. During the tenure of King Daviyd, such citizens were called Yahus (in the singular, Yahu). Let’s look at the difference between the kingdom under Daviyd – called Yahud – and the territory secured from the Greeks under the Makkabiym (Maccabees) which would be called Iudaea. We see that the YAH is missing from the second pronunciation. This is true because YAH had left the building! The destruction of the kingdom of YAHUD came when Menashsheh ruled for 55 years in complete iniquity. His sins were so great, YAHUAH determined to destroy the kingdom and to remove the kings from the throne for 14 generations, and only the seed of the woman would later be capable of taking the throne. If Yah-hu means I AM he, then Iudea means what’s left of him. We see that a citizen of Daviyd’s kingdom is called a Yahu, meaning I am he; but a citizen of Iudea is called a Yahudiy, meaning I am Yahud. So, once we begin talking about the Yahudiys who claimed citizenship in the Roman province, which followed the former Herodian kingdom, which followed the former Hasmonean kingdom, which followed the conquest by the Greeks, which followed the Persians, which followed the Babylonians who destroyed the temple of Shalomah in 586 BC, we are not discussing citizens of Daviyd’s kingdom, but rather, citizens of the last Roman province carrying the name. So we see that when Yahuchanon says and I know the blasphemy of them which say they are Yahudiym, and are not, but are the synagogue of Satan, he is referring not to the tribe of Judah (Yahudah) but rather, those who claim a citizenship right in Iudea (Judea), and not as a Herodian kingdom, or a Hasmonean kingdom, but rather, as a Roman province. To claim to be a Yahudiym is to adopt the surrender of sovereignty expressed in Yahuchanon 19:15: We have no king but Qeycar (Caesar). Now, let’s explore the word synagogue. In the Greek, the word that is interpreted as synagogue is συναγωγή (synagōgḗ) Strong's G4864, and it means an assemblage of persons; the meeting or the place; by analogy, a Christian church. A synagogue of Satan therefore can readily be a church of Satan. And there was war in heaven: Miyka’el and his angels fought against the dragon; and the dragon fought and his angels, 8 And prevailed not; neither was their place found anymore in heaven. 9 And the great dragon was cast out, that old serpent (nacash), called the Devil, and Satan, which deceives the whole world: he was cast out into the earth, and his angels were cast out with him. Here we see that the great dragon is that old serpent, is the Devil, and is Satan. And YAHUAH said unto Mosheh: Make you a fiery serpent (seraph) and set it upon a pole: and it shall come to pass, that everyone that is bitten, when he looks upon it, shall live. 9 And Mosheh made a serpent (nacash) of brass, and put it upon a pole, and it came to pass, that if a serpent had bitten את eth-any man, when he be-held the serpent of brass, he lived. At first blush, these look similar – but they are in no means similar. A seraph is the singular for of the word seraphiym, which is described by two witnesses in scripture. Above it stood the Seraphiym: each one had six wings; with two he covered his face, and with two he covered his feet, and with two he did fly. 3 And one cried unto another, and said, Holy, holy, holy, is YAHUAH TSEVA’OTH: the whole earth is full of his glory. And the four living creatures had each of them six wings about him; and they were full of eyes within: and they rest not day and night, saying, Holy, holy, holy, YAHUAH ELOHIYM TSEVA’OTH, which was, and is, and is to come. Mosheh was told to create a banner of a Seraph; instead he made a brass serpent on a pole. NOW the serpent (nacash) was more subtil than any beast of the field which YAHUAH ELOHIYM had made. And he said unto the woman, Yea, has ELOHIYM said, Ye shall not eat of every tree of the garden? 2 And the woman said unto the serpent (nacash): We may eat of the fruit of the trees of the garden: 3 But of the fruit of the tree which is in the midst of the garden, ELOHIYM has said, Ye shall not eat of it, neither shall ye touch it, lest ye die. 4 And the serpent (nacash) said unto the woman, Ye shall not surely die: 5 For ELOHIYM knows that in the day ye eat thereof, then your eyes shall be opened, and ye shall be as elohiym, knowing good and evil. Given what we have seen so far, we can reach a conclusion that the synagogue of Satan is a church of the serpent (at least in one iteration), and its members are those who claim to have a citizenship right to the old Roman province of Iudea, claiming no king but Qeycar (Caesar).